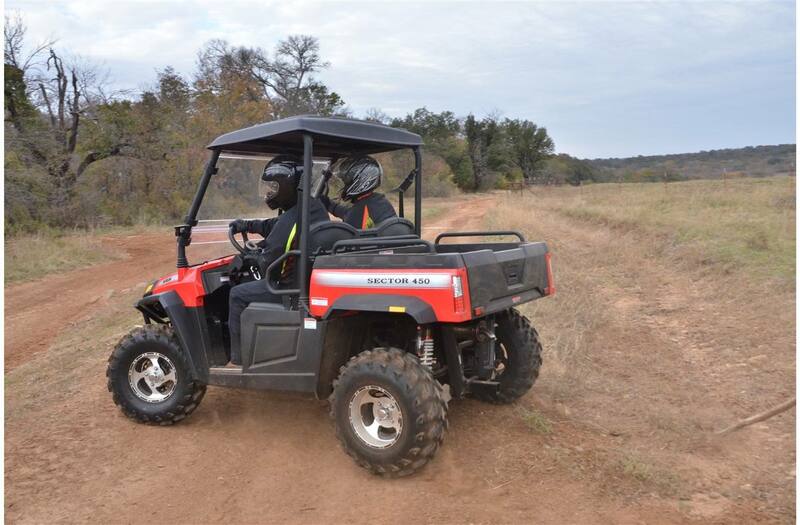 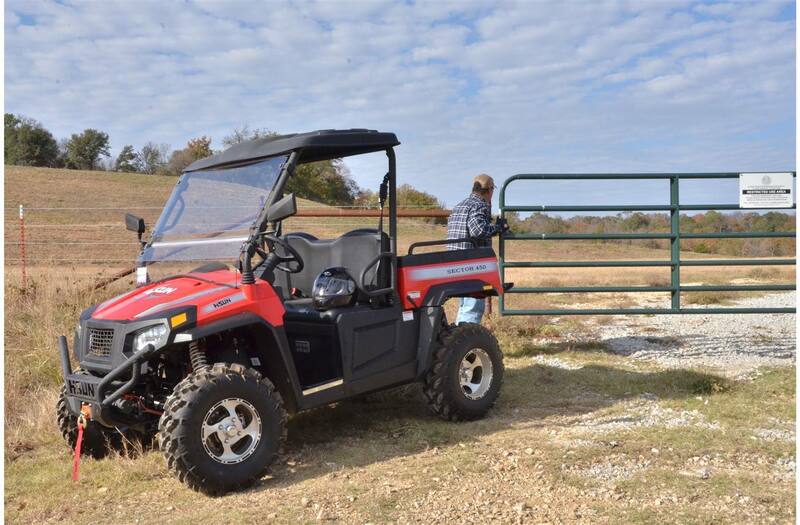 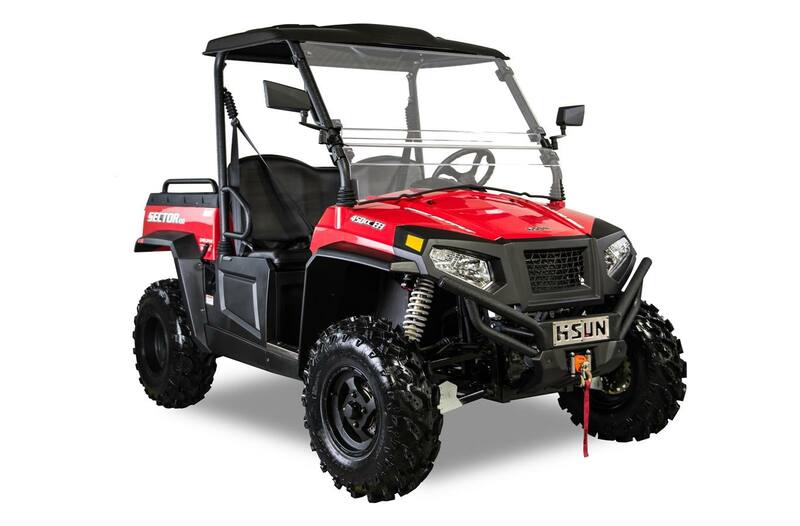 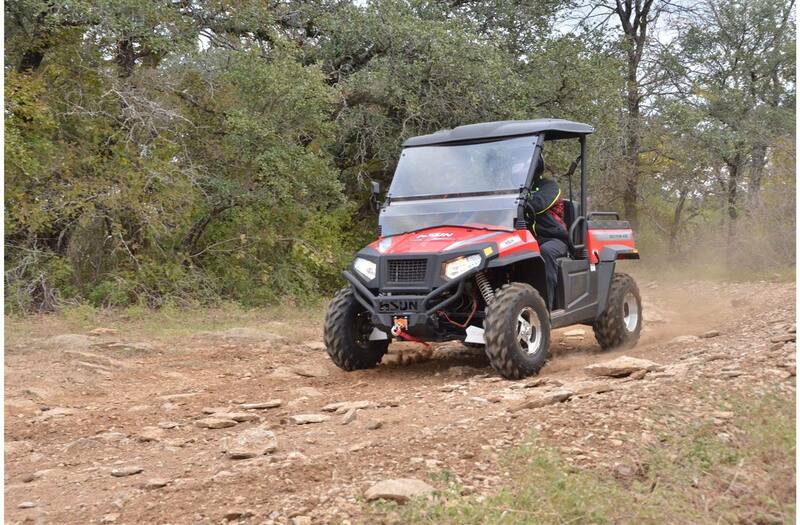 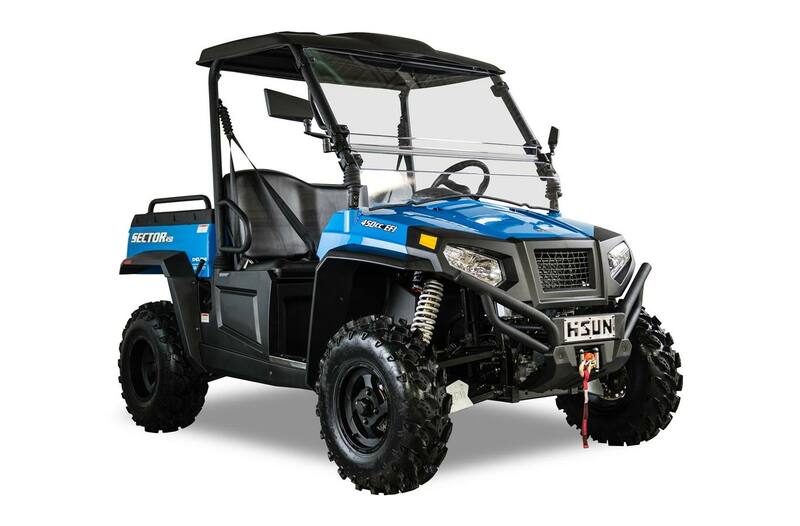 The Sector 450 is the perfect mid-sized UTV with all the features and power of a full-size UTV. 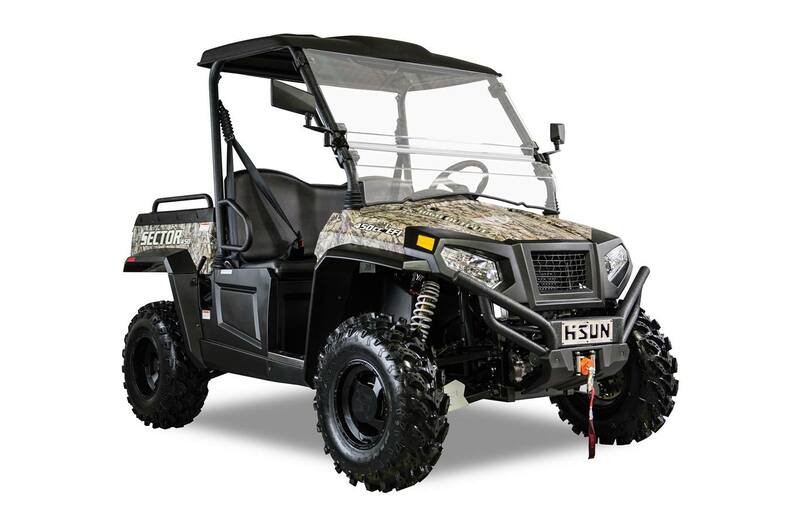 Standard with a Roof, Windshield, Side Mirrors, Turn Signals, Winch and aluminum wheels making the Sector 450 the ultimate mid-size Side-X-Side. 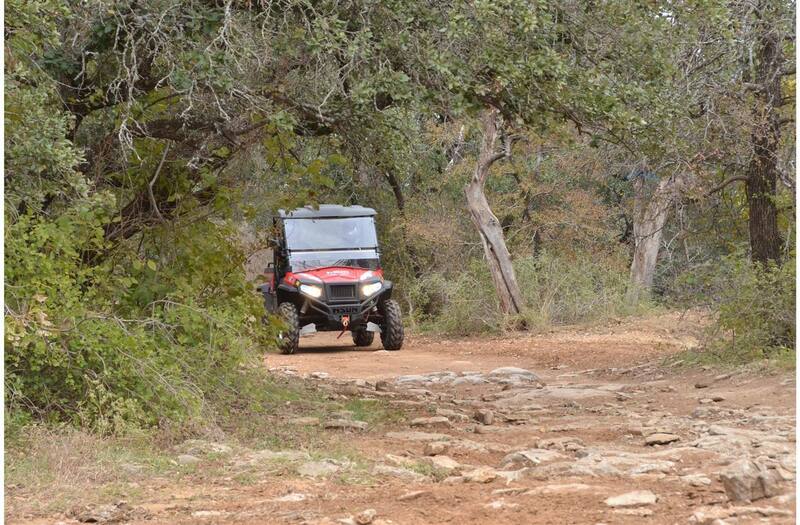 Packed with a 454cc Single Cylinder EFI Engine with 4-Wheel Drive to help get you to your desired destination. 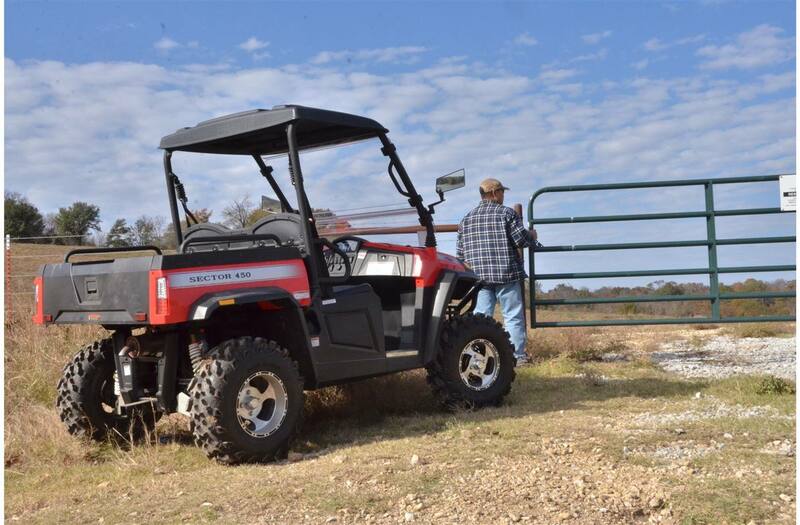 Dual A-Arm Nitrogen Assisted shocks make every arrival smooth. 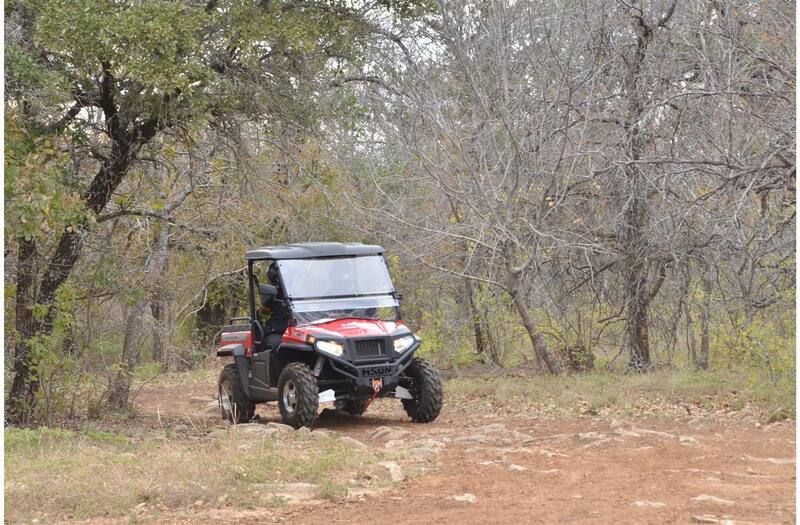 L x W x H: 107" x 61" x 74.2"